Sure, the Galaxy S4 may be a smartphone, and the Galaxy Note II may be more of a phablet, but that doesn't mean that consumers will necessarily make such a destinction. 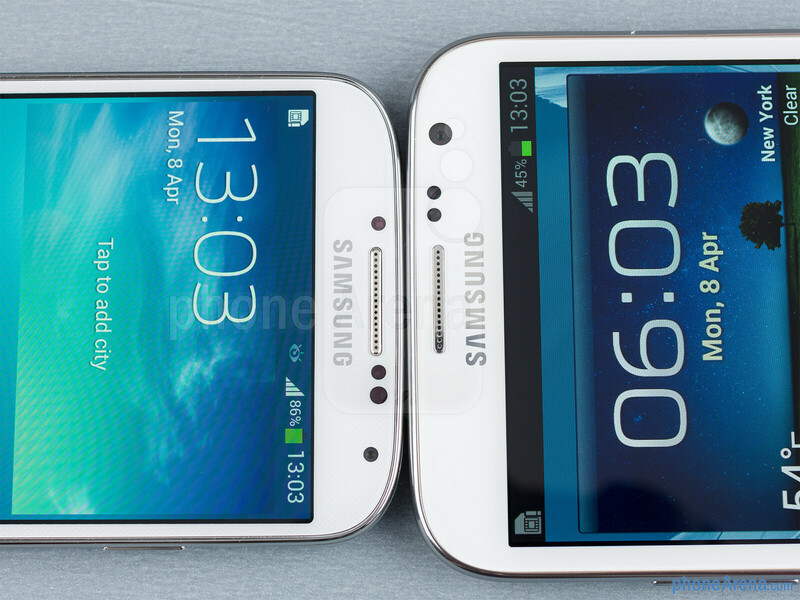 In reality, both handsets look very similar, with one of them having just a slightly bigger screen. 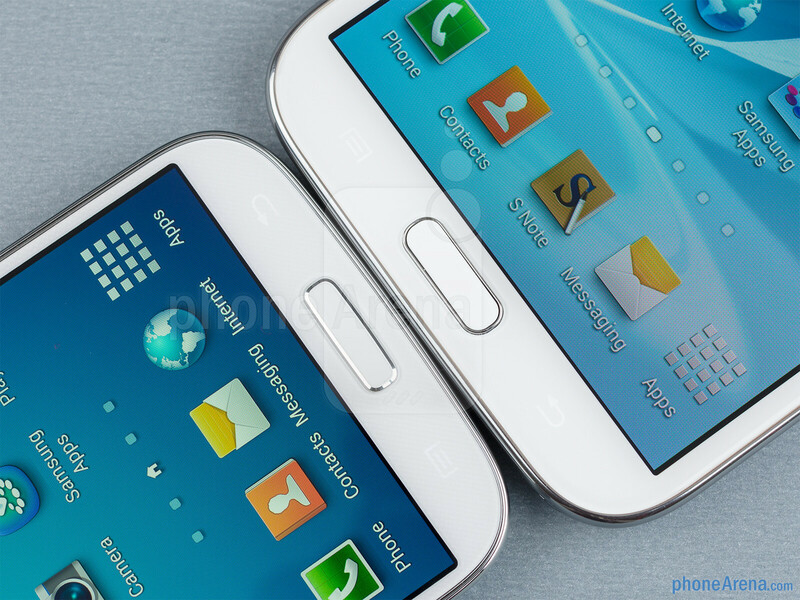 With that in mind, the Galaxy S4 and Galaxy Note II find themselves dangerously close to each other, so which one should you choose? 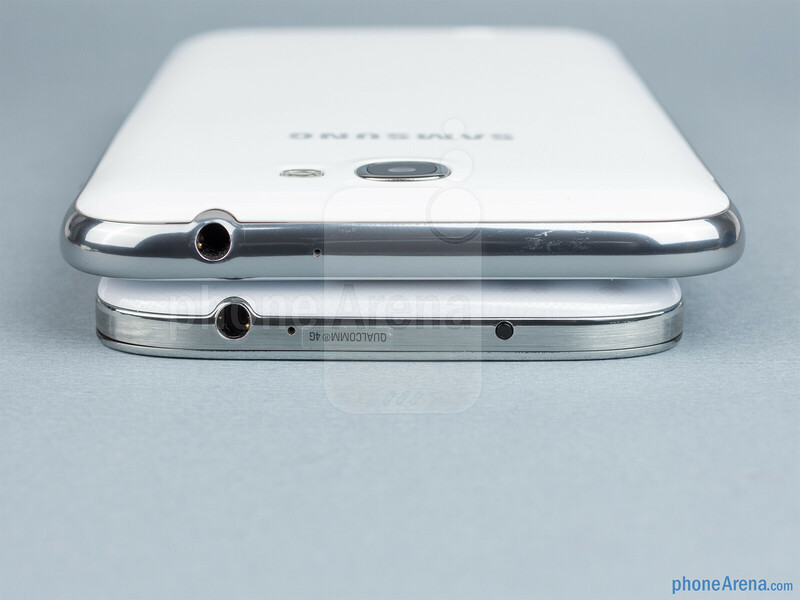 The phablet with the S Pen, or the flagship smartphone? Read on to find out! The designers at Samsung must really love the "Inspired by Nature" form factor they have been using lately, as you can see how all of their latest devices look almost the same. 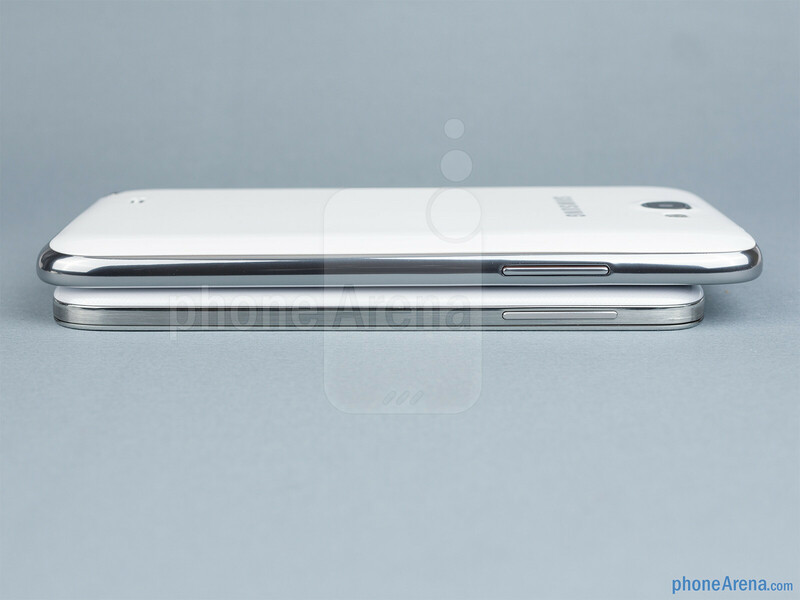 That is exactly the case with the Galaxy S4 and Note II, which are almost identical with the exception that the Note II is bigger. Still, we can note here that the GS4 does seem to be a bit more advanced from engineering standpoint, as it has that extremely thin bezel around the screen, which makes the device impressively narrow and easy to hold, considering its 5" display. It also makes it look more contemporary and cool. Other than that, both handsets are made of Samsung's favorite glossy plastic, which we quite like. They may not be particularly attractive or premium-feeling, but they are comfortable to hold and use, especially the Galaxy S4, as it isn't such a monster like the Note II. 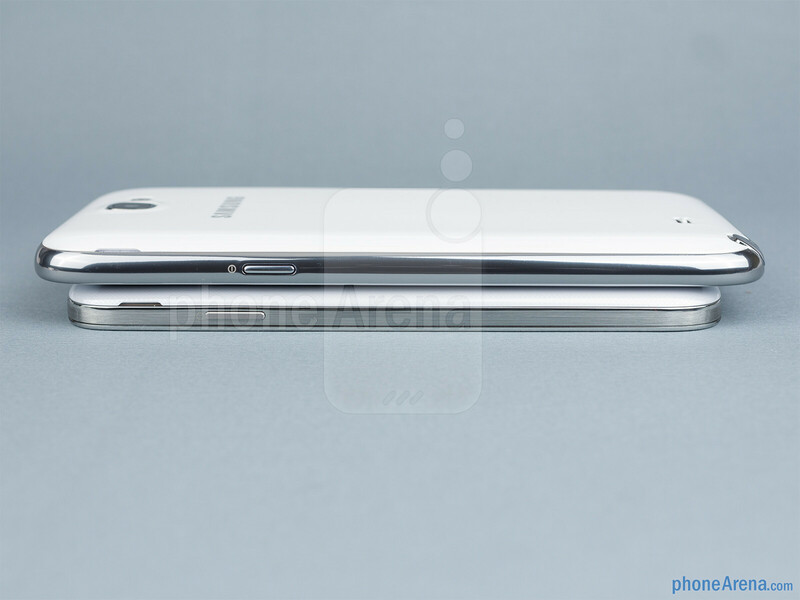 The Galaxy S4 has a definite advantage in the Display category. Not only is its screen higher-res at 1080 x 1920 pixels, compared to the Note II's 720 x 1280 pixels, but it also treats us to more natural colors and better viewing angles. The screen of the Note II is not bad at all, but it's simply inferior to the GS4 in those aspects. 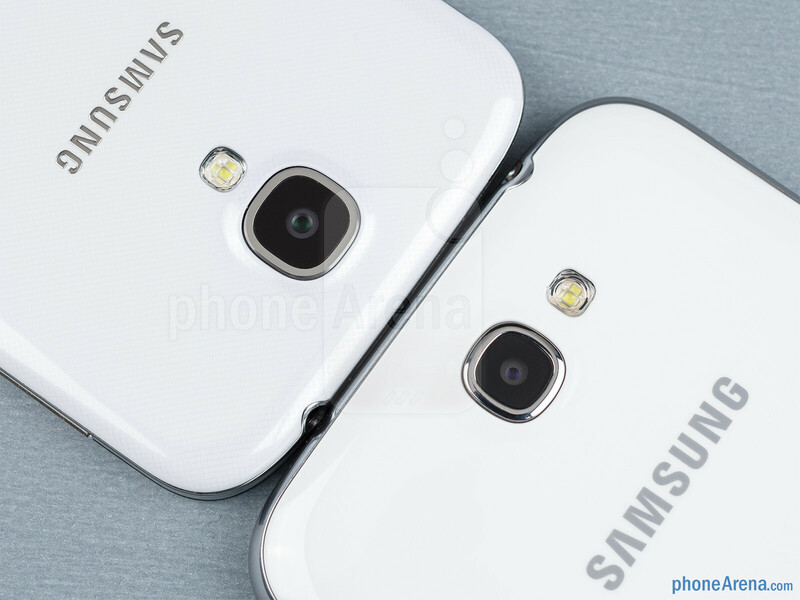 The Galaxy S4 is also a tad brighter, which will help when viewing outdoors. Still, neither of these phones are ideal for outdoor usage, since their screens aren't very bright at all, compared to the good LCDs out there. What this means is that the only area where the Note II excels as far as the screen is concerned is sheer size. Indeed, it's going to make certain tasks a bit more fun and convienient, but at the end of the day, the Galaxy S4 also has a very big screen, and one of superior quality at that. Plus, if you wait for the Note III, you will get the Exynos octacore chipset, which U.S. GS IV owners will miss out on. Good things come to those who are patient. 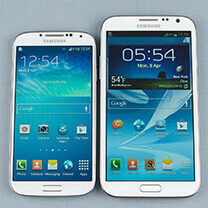 I am passing on the GS IV, but will pre-order the Note III as soon as VZW opens pre-orders for it. Lol VZW, stupid CDMA stopping all their customers from using the octa version of the s4. C'mon Ray! I was eagerly waiting for an AirView comparison in terms of functionality and accuracy, and considering the S4 has super sensitive screen with milk bottle control, why not check the SPens and other pens usability, accuracy, drawing capabilities on the S4. I just wanna know how accurate sylus input is. Can you make a drawing comparison? i have enough plastic at home. so annoying! please stop this garbage! At least it has power. All of your "premium" phones have the strength of Lil Kim up in North Korea. Pathetic. Nice devices, selling my note and copping an s4. 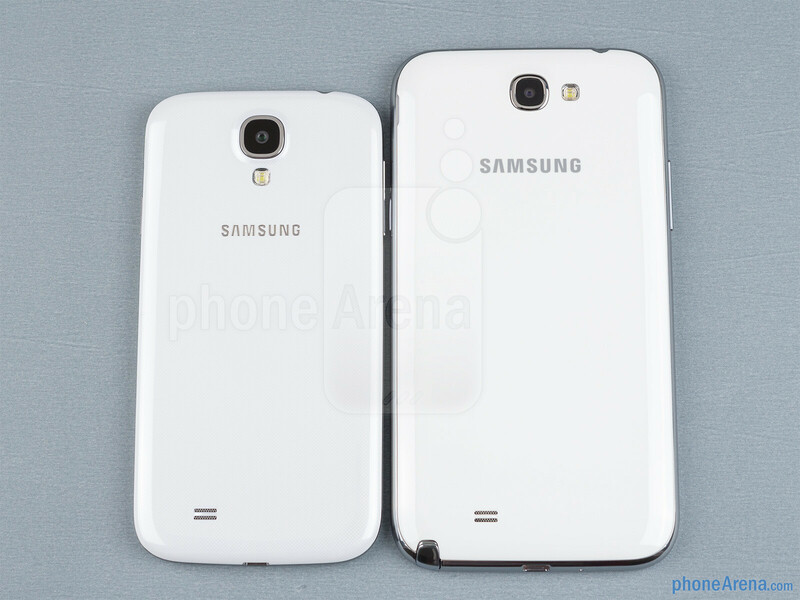 To be honest I'd like to, but I don't need three phones and I think the s4's size will be more to no liking. Plus the extra horse power, 1080p, and new camera really intrigue me. So true! Once you've used a NOTE, there's no going back! I used a note, you can't use it with one hand so pass. Not to worry the Galaxy Note 2 is the GOLD STANDARD of technology today. The device every manufacturer is trying to catch up to and copy for that matter. It's the ultimate all purpose productivity device ever made since the inception of android. The ONLY thing that will ever compare is the Galaxy Note 3 in September 2013. When the Galaxy Note 3 launches that will be a day one purchase for me. 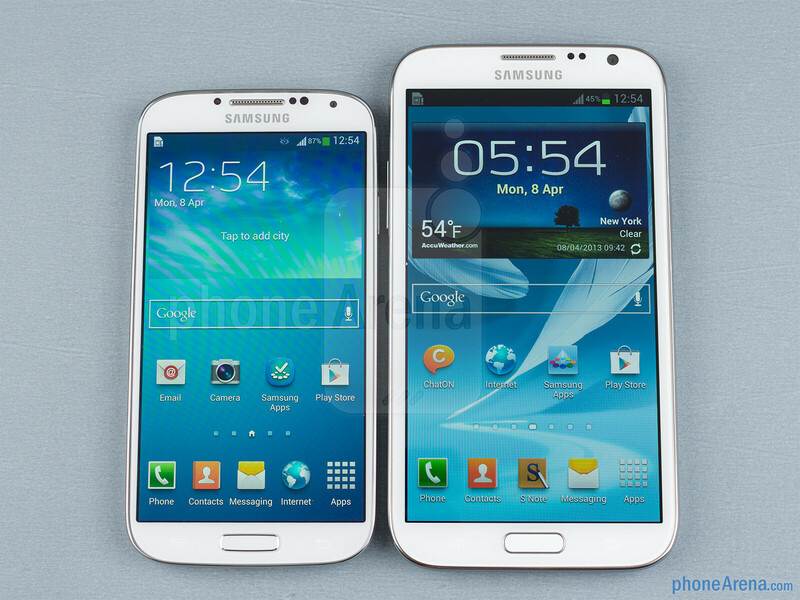 I will gladly pass on the Galaxy S4 going backwards in screen size will never happen in my world. 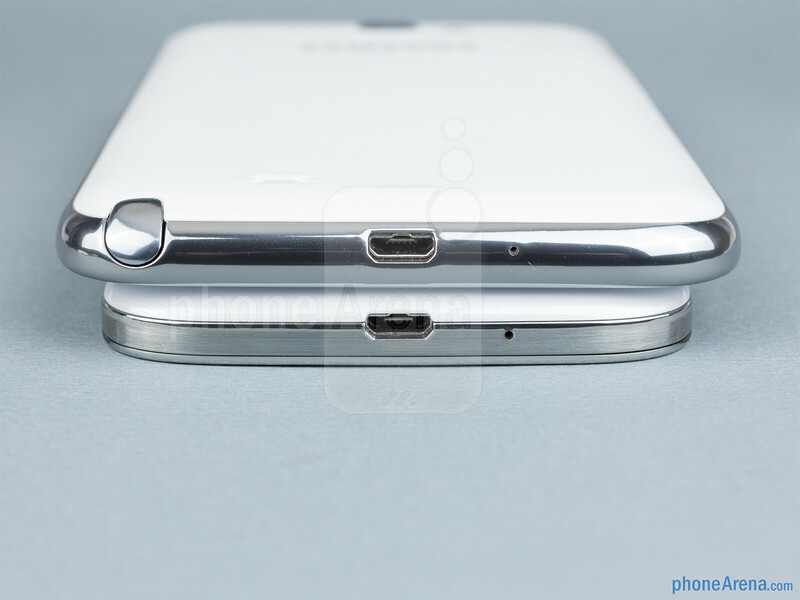 That 6.3 inch breakable display at 1080p of the Galaxy Note 3 will be industry leading rest assured on that. gold standard? which one? gold standard for plastic phones maybe.. hahahaha! but for premium quality one? the lowest element possible..
And why is that ? It is obvious you are a huge Samsung fanboy just by looking at the comments section of this website, every flagship phone has premium quality, i don't get the sudden hate for the HTC One nor the hate for the iPhone 5 as it is an excelent smartphone, but this is from a unbiased point of view. I don't really see the need for people saying "[Insert favorite brand here] is better / does this better than [insert a phone that is not from your favorite brand]". So..... All tier one smartphones are the same?...... Hahahahaha oh. Okay. It's not a question of the standard, it's a matter of what people want. Not everyone wants a phone that large, not everyone wants android or iOS, or wp8 etc. your screen name suggests a fascination with Sammy, and the note phones, but you only really speak for you. I have the note 2 and love it, but I speak for myself...and me myself will be selling my note 2 this wknd to my nephew. He's been begging for it, I'll then put the difference with it and buy the s4 at retail. Remember these devices are only the gold standard to those that want them. I'm definitely not even considering the S4. I will most likely pass on the Note III as well because the time frame is way too short for any major advancements to be made on the Note III.